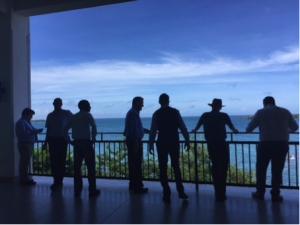 Representatives from the GHG Management Institute and the UNFCCC Regional Collaboration Center (RCC) met as implementing partners to formally launch the Caribbean Cooperative MRV Hub. The Caribbean Cooperative MRV Hub (CCMRVH) is a five-year project to establish a regional institution for capacity-building and collaborative work between technical greenhouse gas practitioners in twelve English-speaking Caribbean countries. 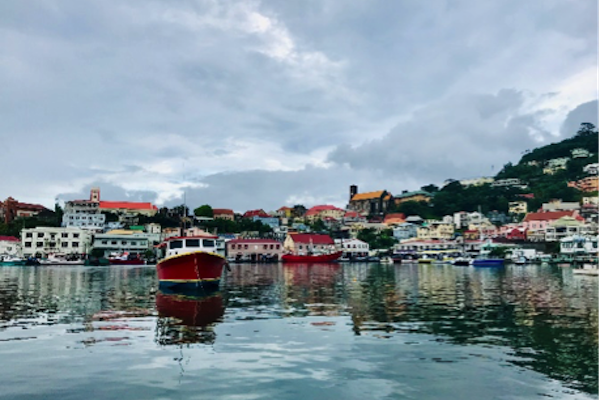 The kickoff meeting took place on the campus of St. George’s University in Grenada, in the Windward Islands Research and Education Foundation (WINDREF) facility, which will be the institutional home of the Hub. During these meetings, the partners planned the upcoming work for the next year, including an all-country launch meeting in February, the seating of a steering committee composed of regional stakeholders, determining capacity needs and priorities for all countries, and programming the future capacity-building activities of the Hub based on these needs. The coming year will also see the launch of capacity-building courses for country experts, mentoring sessions on country-specific technical issues, and collaborative problem-solving. For more information about this novel approach to MRV challenges, attend our side event at COP24 or sign up here for project updates. The CCMRVH is part of the International Climate Initiative (IKI). The Federal Ministry for the Environment, Nature Conservation and Nuclear Safety (BMU) supports this initiative on the basis of a decision adopted by the German Bundestag, with additional resources and technical support provided by the UNDP/UNEP Global Support Programme.